One of our favourite weeknight meals is pizza. 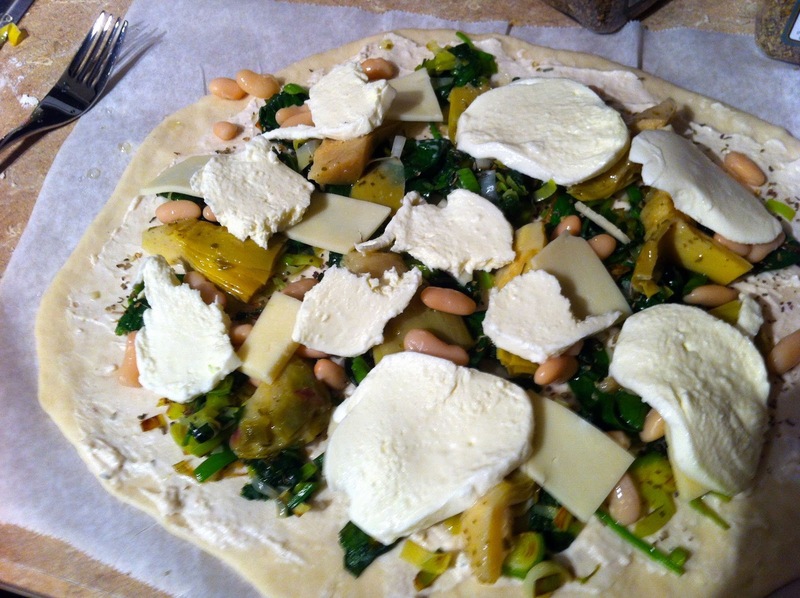 It is quick, you can throw just about anything on it, and everyone loves pizza! This pizza from Katie at GoodLife Eats takes some of our favourite items and puts them together to produce an insanely tasty pizza. 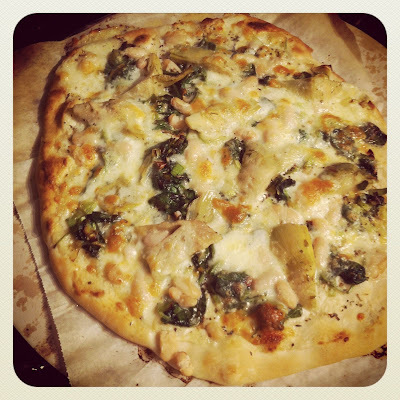 Artichokes, spinach, cheese, and a creamy pizza sauce, yum!. 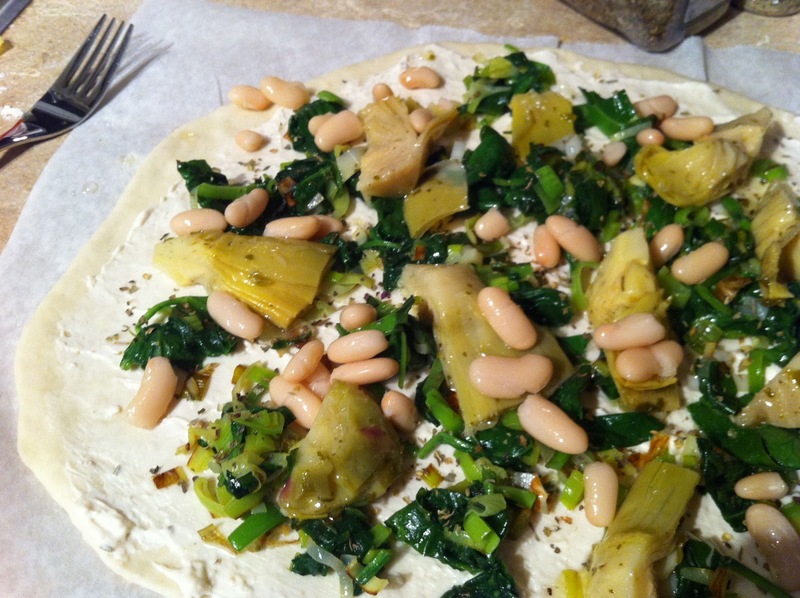 The sauce for this pizza is unreal, and you won't believe what is in it! 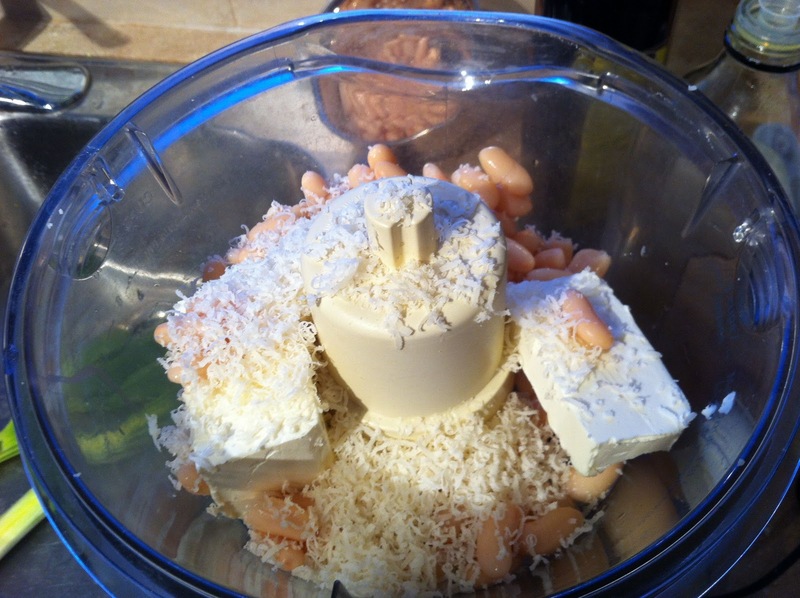 The delicious creamy sauce is actually made with white beans so you get a great boost of protein with your meatless pizza. I know a lot of people take part in Meatless Mondays, and this would be perfect! If you have pizza dough ready in the refrigerator (or have a prepared pizza crust) then this can be whipped up in no time for a weeknight meal. The sauce is enough for two or three pizzas, but it keeps really well in an airtight container in the refrigerator for when your next pizza craving hits. The original recipe is from GoodLife Eats and makes one pizza. Remove from oven, cut into slices, and Enjoy! I really do love making pizza for dinner! I buy fresh dough (have yet to make my own!) and load it up with sauce and cheese. I haven't ventured into any other kinds yet, but you have just inspired me! Yum!